It’s so much not about your age, but the life you’ve lived in those years. I have a few friends who have recently celebrated (some reluctantly) significant birthdays. Age is not a big deal to me. It’s more about the life we have lived in those years than the time we count. You may be a sixty year old who has never left your hometown, but have raised three wonderful children who love the Lord. You could be a 22 year old God is using brilliantly for His Kingdom, but may be insecure in being single. You may be starting over after a divorce, death or loss of job. All the life we have lived matters to the One who gave us life. His Presence with us matters most of all. God is able to show us things we have lived through from His perspective. God is able to heal us from the brokenness and hurts we’ve received in our past. God is able to stir up our hope as He shows us the future He has for us, both now and forever more. Nothing, not one thing, is wasted or beyond his redemption for those who put their faith and trust in God in this life. The author of life Himself offers to walk beside us with each step we take in this life. And experiencing life by His side can cause one blissful moment to linger for hours and one hard hour to fade into a blip of time. Time doesn’t pass for Him the same way it does for us. We only move forwards. God is beyond time, as its designer and initiator. I have seen Him speed the skills and development of young people as he has empowered them to step into roles generally thought of as for thr mature. Older folk rediscover life with the wide eyed wonder traditionally reserved for youth. 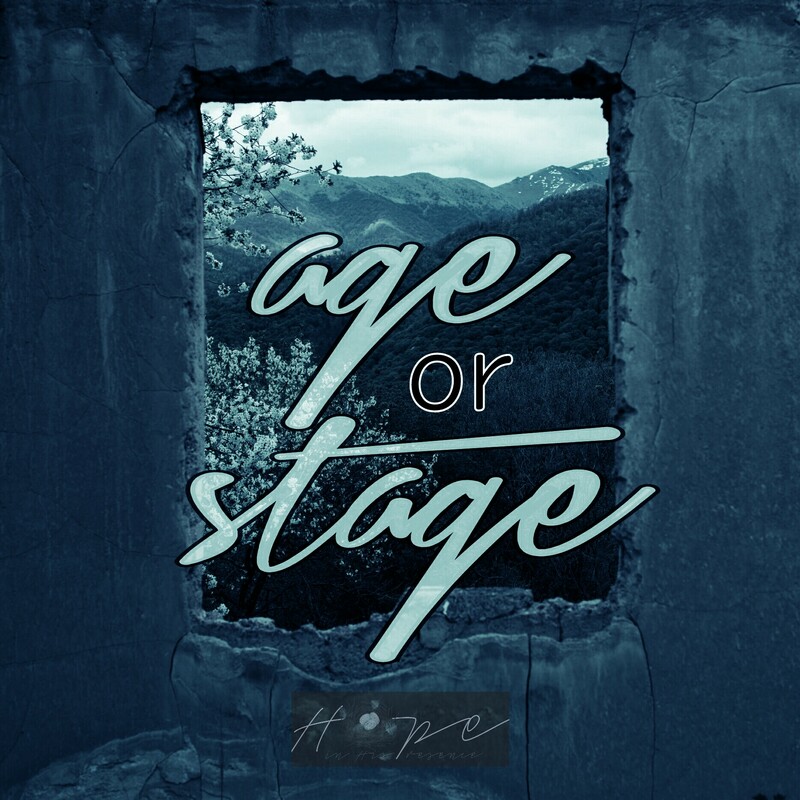 Life isn’t about age as much as stage. Every age or stage is His speciality, as the Creator of life. Instead of becoming depressed or upset with where you are at right now, invite Him to show you the wonders He has for you. For although God is beyond time he way we know it, He never fails to step into our lives and stay with us through it all. Not thrilled you are X years old and you haven’t seen Y happen yet in your life, or you are tired of carrying the weight of Z about on your way shoulders? Come to the One who gave you life, who helps you live life to its fullest, and empowers you through life’s ups and downs.